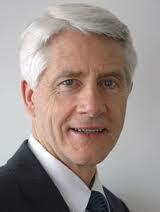 Kennedy (Ken) Graham was elected to Parliament in 2008 and serves as the Green Party's parliamentary Musterer. Ken has most recently taught international politics and international law at the School of Law, Canterbury and Victoria University, and as Visiting Professor at the College of Europe in Bruges. He has previously worked for NGOs in New York, the UN in Europe and the Middle East, and as a NZ diplomat in Asia, Europe and North America. He was involved in negotiating the South Pacific Nuclear-Free Zone, defending the policy before the UN in Geneva and New York. He was also Director of a UN academy in Jordan. Ken holds a B.Com from Auckland University, a BA Hons in Political Science from Victoria; an M.A. from the Fletcher School of Law & Diplomacy, Boston (Fulbright); and a Ph.D. in Political Science from Victoria University. He was also a Fellow at Cambridge University, studying in the Global Security Programme. Ken has authored and edited five books including 'The Planetary Interest – A New Concept for the Global Age' which looks at issues of climate change, sustainability and nuclear weapons from a global perspective.